Partners » Entagear Co., Ltd. Looking for Reliable Business Partner to develop markets for industrial products and service in Thailand? 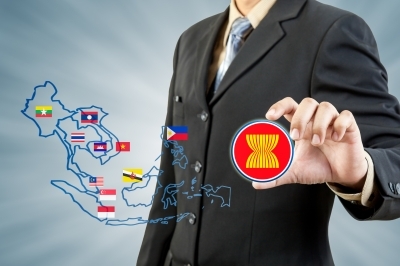 ASEAN Economic Community (AEC) set to be established by 2015, there is growing excitement concerning Thailand’s participation in AEC. Many companies are looking to find new markets for their products and services throughout the region. The removal of the trade barriers as required by the AEC should open up interesting opportunities for many companies looking to expand their customer base and diversify their businesses. If you are an investor/manufacturer seeking an opportunity to really find new market or interested to gain greater exposure to new areas of the business in Thailand and Indochina. We invite you to get in touch with us. We are most trusted, experienced, knowledgeable, technically representative agent of the quality and branded industrial products and service for power tools products & system and crane & hoist system more than 10 years to cover major industrial area in Thailand. We believe in 100% ethical trade practice and providing the best after sales service and maintenance service. We are currently authorized dealer for Atlas Copco products including industrial power tools, air motor, air hoist products, and quality accessories. We are looking forward to growing by servicing more industry/products in compressors, vacuum pumps, industrial filtration and power transmission applications. We currently serve many prominent multinational and local clients from various industries throughout Thailand. We are pleased to establish a partnership with any investors/manufacturers who wish to develop market in Thailand and Indochina. Pls let us know if there’s something we can help you and work together.